The design and build of a custom dream home can be one of the most rewarding experiences of a lifetime. 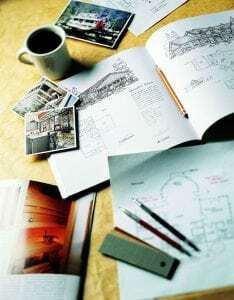 However, the custom home design and build process can be challenging and time-consuming. That’s why Lindal and our network of independent regional representatives are here to guide you through each stage of the experience. Explore below for insight into the planning, designing, financing, and building of your custom home with Lindal. When you’re ready to start planning your dream home, connect with a Lindal representative in your area to get started. Often when developing a budget, researching the cost associated with developing the land does not get the attention it deserves. Plan ahead and speak with city officials about building permits and the cost to obtain them. Under most circumstances, your contractor can assist in obtaining permits and will provide you with most of the cost, but we recommend performing your own research ahead of time to avoid any unexpected expenses or delays in construction. 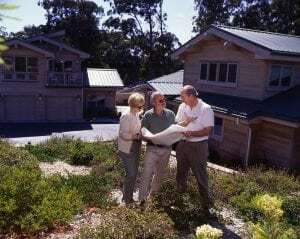 When selecting your property, research whether water, power, and electric are already on the lot. It can cost thousands of dollars to hook into utilities. It is considerably less expensive hooking up to utilities already stubbed into the site, rather than having to go into the street to make a connection. This involves the cost of digging up to and into the street as well as repairing it. A site with lots of trees means at least some tree removal, which can be expensive and therefore should be factored into the budget from the outset. Always have soil tests done on the part of the site where you plan to build before you commit to the location and begin building. Finding out during construction that the area you plan to build on is bedrock or has underground water will throw you off budget, especially if you need to pick a new location. Your new home is a statement of your lifestyle. Express your personal tastes through architectural style, home design and floor plan selection. Then choose from an array of quality building materials and either our post and beam or Lindal log building systems to add your signature to your new home. Select from our extensive menu of home design choices to create a custom house plan to fit you and your family perfectly. You will work with your Lindal representative to match your needs to one of the hundreds of unique Lindal plans in our plans library. Then, your dealer will assist you in further personalizing that house plan into your custom home design by selecting a level of customization at an affordable price. 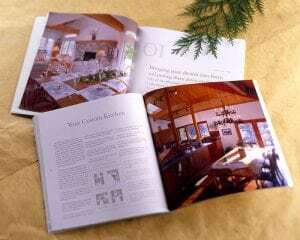 Knowledgeable Lindal designers produce new home plans that incorporate those design choices for your approval. Choose from a wide range of affordable non-structural changes including siding, millwork, windows, doors, hardware and many other architectural details. Home style changes are easy—and very affordable—within this level. Add a basement, garage, deck, balcony or porch to enhance your custom home. You can move non-load bearing interior walls to open up your living area or create the perfect storage space. Add a SunRoom or a dormer to bring in more warmth and natural light. These changes are more affordable than you may think! Accommodate that dream kitchen or master bedroom suite. Stretch or shrink a portion of the home. Add a wing. Change wall heights to create a soaring ceiling. Alter the window configuration to impact the ‘personality’ of your home. Best of all, these changes can fit within most budgets. For those wanting an architect’s touch without the price tag, consider a home plan from the Lindal Architects Collaborative or the OM Studio Design series. For a more traditional architect’s approach, explore our Turkel Design for Lindal homes. Lindal designers have had decades of experience creating award-winning unique home plans that begin from a sketch on a napkin, a conversation with your dealer or an architect’s rendering. Talk to your local Lindal dealer for more information. You can start to design and build your own home from scratch by working with one of our in-house designers, or have your architect work with Lindal. After 70+ years in the business, we have experience with every kind of scenario. Our primary goal is always your complete satisfaction. Your final construction drawings will help you receive accurate contractor bids, obtain building permits and prepare your foundation. Your local Lindal consultant can provide construction estimates, recommend builders, guide the project through required permits – and even serve as a liaison between buyer and builder throughout the construction process. When you apply for your construction loan, apply for more than you will need. Running out of money before the project is complete can be disastrous. Don’t make expensive changes after construction begins. An ounce of planning can save you cash and stress. Make sure your financial package is complete before visiting the lender. Complete all required forms and provide as much information as you can, including cross-sections of the home and a specification of details and blowups of key areas. This will also help the builders give you accurate estimates of building costs. The bank pays out your construction loan in four to ten draws, after proof is shown that the specified phase is complete. Draw schedules are normally back-ended, requiring you to go into the project with start-up cash of your own. If possible, apply for a Permanent-to-Construction Loan (or convertible loan). This eliminates additional closing costs by putting both the construction loan and long-term mortgage in one loan. Shop carefully for the best rates. Learn More: How Much Does a Lindal Home Cost? You’ve made it through the first steps of the new home building process—planning, design and production. You have transformed your ideas into a floor plan that meets your needs, selected a reliable home builder, have financing ready and all your building permits are in hand. You are now ready to learn about the final stage: Delivery & Construction. When you are completely satisfied with your chosen home design, you will sign off on your final set of plans and authorize the shipment of your building materials kit. Then you will work with your Lindal dealer to set a date for your building materials package delivery. 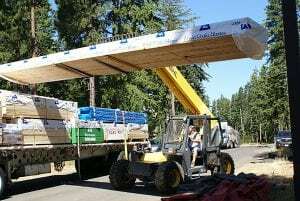 Unloading the Lindal building materials is an exciting time for everyone involved in bringing your new home to life. 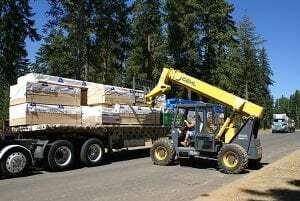 Your Lindal dealer will be at the delivery to complete an inventory and make sure that your dream home building project is off to a strong start. Then it is time to let your home builder get to work! This phase begins with the arrival of your home building materials and is completed when your custom home builder applies the last piece of trim and the landscaping is done. 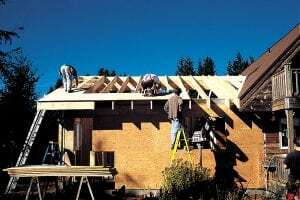 There are many steps to the actual building process, from the ground breaking, foundation and framing, to the plumbing, flooring and interior trim. Before you know it, it is time to move in—and finish the landscaping!